A young Gypsy and his Flying machine. He won't get far in that pile of junk. Flying Gypsies are a breed of traveller that have emerged as a reaction to increasingly stringent legislation surrounding caravan sites. They are distinguished from the regular gypsy in that they use air transport. Whereas your everyday, run of the mill gypsy is limited to only land travel, flying gypsies can successfully avoid police raids and invasions from rival groups of travellers using the art of flying, in which they can be highly proficient. Regular, land-faring gypsies. Looked upon as 'inferior' by flying gypsies, mainly due to their lack of shirts. The big one will have the skinny one for breakfast tomorrow. The flypsy is dead, he flew into a wall. He fell to the floor, which hurt him some more. The first Flying Gypsies emerged in the Middle Ages. However at this time laws prohibiting the gypsies' lifestyle were much more relaxed than today, to the point that relatively few gypsies utilised this method. 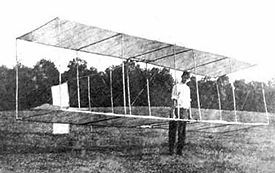 The few that did choose to construct their own gliders managed to fashion makeshift 'wings' out of scraps of cardboard and cotton material. Mainly used when out 'scrounging' for food at the local farm, the method was largely unsuccessful due to the large amounts of grazing animals which meant the user did not have sufficient clear runway for take-off. Needless to say, this led many 'flypsies' to an untimely and grisly end at the hands of ball bearing guns and sheepdog bites. As air travel technology advanced, so did the Flying Gypsies' transportation options. The early 1800s saw the emergence of the hot air balloon as a result of vigorous research by the travelling population: some guy was bored one day and decided to put his flatulence to good use utilising an empty potato sack. For a while, the partially decomposed ram's bladder and duct tape used to create the balloon held out, but the method was quickly rendered redundant as bored pre-ASBO youths began to throw stones which would puncture the device. Around this time, Flying Gypsies was still quite scarce: most perished due to lack of aviation knowledge. In other words, they would generally jump off cliffs and fall to their deaths or get eaten by passing seagulls. However, as governments began to cotton on to their crooked scheme, they introduced measures to crack down on this so called "tax dodging scum". This gave rise to what would become known as the 'The Golden Age of the Flypsy. 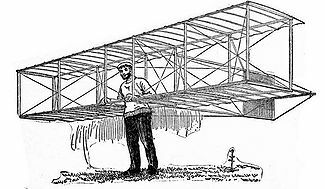 Coinciding with increased legislation around the turn of the twentieth century (shoot Flying Gypsies on sight) was the invention of the hang glider. This would become the icon of an era, defining the period as the 'Time of the Tramp'. When a police officer approached, the suspected gypsy, equipped with home made hang glider, would simply jump off the nearest cliff and glide to death safety in the valley below. For years, police would find it hard to curb the Flypsies' activities, leaving the travellers to wallow in mud revel in their own self importance. Instead of joining the circus, people would take on the life of a Flying Gypsy, smashing into brick walls and crashing through farmers' barns gliding elegantly across the countryside. A flying gypsy proudly displays his home-made flying device. The First World War put paid to the Flypsies. Literally pulped into submission by enemy fighter planes, the Flying Gypsies began to die out gradually as the twentieth century progressed. The Flypsy still exists in modern (non) society, made possible by the convenient 'travellers act' which allows travellers to stay anywhere in the world they please for up to a week. This includes the grounds of Buckingham Palace and Jeremy Clarkson's back garden. However, after this seven day period, they must vacate otherwise the local government is granted a license to shoot them down with handguns. The remains are taken and recycled to make dog food and Tesco brand hamburgers with cheese. 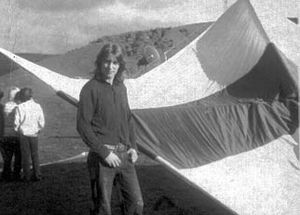 Home made hang gliders are the only way to get around in modern society. Forget your water powered buses and crap like that, bed sheets are the future of transport. To try and combat the existence of this 'particularly devious' sub-society of Flypsies, many local authorities have taken on experienced hang-gliders and fighter pilots to exterminate the 'pests'. Many country farmers have also fitted pellet guns to their crop-spraying planes to keep them at bay in the fallow winter months. Residents can now purchase special sticky fly paper-like tarpaulins which drape over the roofs of houses to catch potential television aerial-stealing Flypsies. Laws state that the victim can then be stewed or eaten with lobbies. And they taste great with vinegar, apparently. Wubblulubble. This article has been cursed by me, head gypsy dude Ramon V. Albertson. Gurrrgh. Should you read it, you too shall be 'encursed' for the rest of time. Muuuuuh. Be very afraid. The only way to break the curse is to buy one of my pebbles, erm, I mean precious gems, for £15. Or else, face the consequences, static mammal. Huwuhwuwh. ↑ Up the behind with KY jelly is most preferable. This page was last edited on 29 May 2012, at 09:07.